PHARMLABS™ WAS FOUNDED BY TWO LOCAL, SAN DIEGO, PROP 215 PATIENTS IN 2011. ONE OF THE FOUNDERS KC EARNED A DEGREE FROM ARIZONA STATE UNIVERSITY IN PHYSICS IN ADDITION TO A MASTER'S DEGREE IN ENVIRONMENTAL ENGINEERING WITH AN EXTENSIVE BACKGROUND IN CHROMATOGRAPHY. The Founder, Greg Magdoff, is a cannabis industry expert who has had his hands in the dirt from the very beginning, allowing him to truly understand the cannabis industry from seed to sale. Greg has an extensive background in business marketing and a vast experience with chemical science; specifically chromatography. 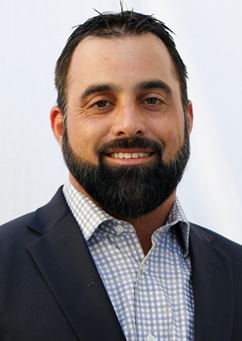 Greg, who graduated from San Diego State University with a Bachelor of Science in Business Marketing; worked for over a decade in one of the largest sales and marketing brokers in the United States representing major clients such as GlaxoSmithKline, Johnson and Johnson, Del Monte Foods, Delta/Moen, Quaker and Gatorade. Greg opened the first PharmLabs LLC in 2011 and has continued to launch additional ISO/IEC 17025:2005 accredited cannabis chemical and biological analytical testing laboratories in Hawaii and California over the past few years. Greg was instrumental in the software development and testing of PharmWare, a Laboratory Information Management System (LIMS), used throughout cannabis analytic laboratories across the country. Greg helped create the first laboratory robotics/automation system designed specifically for cannabis laboratory sample preparation known as the CannaDeck. The CannaDeck System is an automation platform including a robotic sample processing system designed to automate sample prep for cannabis analysis of potency, pesticides, heavy metals, terpenes and residual solvents.In addition, the system performs microbiology assays, working with petri dishes as well as 3M Petri Film Plates via a patent-pending SBS-compliant Processor Module. The CannaDeck system also automates ELISA assays, providing a comprehensive automation solution for cannabis testing labs. Greg also has been very active in helping local municipalities,political groups and government bodies develop clear and concise policies and regulations for the cannabis industry. Greg has devoted a lot of his time to speaking at city council meetings, city planning hearings, and community events to ensure a safe and successful cannabis industry. Karina Pimentel graduated in 2015 from the Autonomous University of Baja California with a Bachelor in Pharmaceutical Chemistry-Biology, specializing in Microbiology. She has worked on identifying infections in rural community research for the National Congress of Pharmaceutical Sciences. Karina has experience working for two years in International Environmental of Health, a food quality laboratory, processing samples for microbiological pathogens. She has a passion for microbiology and she is very enthusiastic about testing cannabis products to ensure they are free of pathogens. She started at Pharmlabs as an intern in 2017 and she taking the lead in the microbiological area of our laboratory. When she’s not working she loves to travel, go hiking with her dog, frequent the beach, and go camping. Brandon Starr is a Master of Science in Statistics which he received from San Diego State University in 2017 after receiving a Bachelors degree in Pharm Chemistry at UCSD in 2012. Brandon excelled as a lab assistant at Scripps Research Institute from 2013 to 2014 studying animal behavior in mice and rats. Brandon also worked at Agility Clinical in 2017 performing data analysis for clinical trials. He has a strong passion for data analysis and always loves to crunch data and numbers whenever he can! When not working, Brandon likes to spend time at home with his parents. In addition, he is a huge sports fan and is even a statistician for his dad who is a high school football head coach. Brandon is eager to use his knowledge from science and statistics and apply them in the field of cannabis. An Le (Rocky) is finishing his studies at the University of California San Diego with a degree in Biochemistry. Through his work with genetic and chemistry experiments, he had brought a fresh set of knowledge to the PharmLabs Phamily. Begining as an intern at PharmLabs, he learned the procedures or the laboratory and found his specialty in operating our Gas Chromotagrphy Mass Spectroscopy instrument. This instrument identifies harmful pesticides in cannabis and cannabis products and is an integral part of compliance testing to ensure safe access, which Rocky is passionate about! He loves to relax at the beach, eat food from all cultures, and snowboard in the mountains. 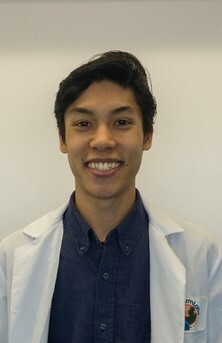 Christopher Doan graduated in 2016 from the University of California, Merced with a degree in Bioengineering. 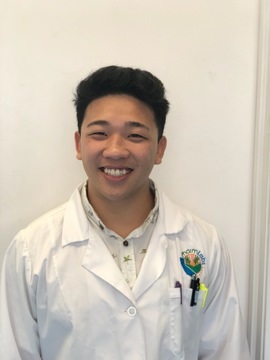 He is new to San Diego and his passion for science in the pharmaceutical industry brought him here to become a part of the PharmLabs Phamily. 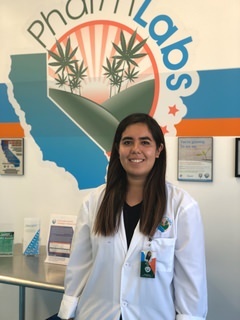 Chris started as an intern in 2018 and will soon be an expert on operating the ICP-MS instrument that tests for harmful Heavy Metals within cannabis products. He is a team player who is able to help throughout the laboratory and the front office. He enjoys fixing up cars, cruising on his motorcycle, and loves to go on adventures with his fiancée and their dog.